Whether a beginner or pro, Gastein Valley in SalzburgerLand offers ice-climbing sites ranging from easy to challenging. Under the direction of an expert, experienced mountain and climbing guide, you can discover the fascinating world of ice falls here in Gastein Valley. Gastein’s alpine location guarantees the excellent, frozen-through,high-quality ice you expect as an ice climber. Salzburg’s alpine guides are always there to assist you in selecting the ideal equipment. Take on the challenge, discover your personal limits, hone your mental fitness! 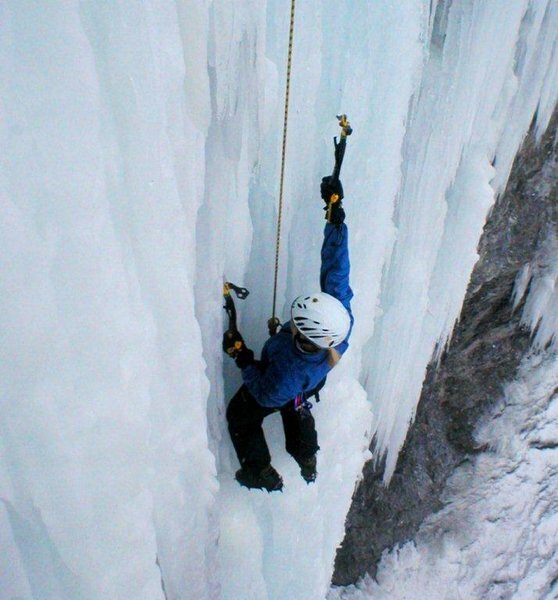 Adventure and adrenaline are the main ingredients which make ice climbing such an attractive sport and such an unforgettable experience. Send us your inquiry for the perfect holidays - just fill in the form above and tell us your desires and expectations. We will get back to you as soon as possible to arrange your flawless vacation. We are looking forward to greeting you in the gastein-valley.